Virginia Beach Self Storage at 5478 Indian River Rd. Located on Indian River Rd. 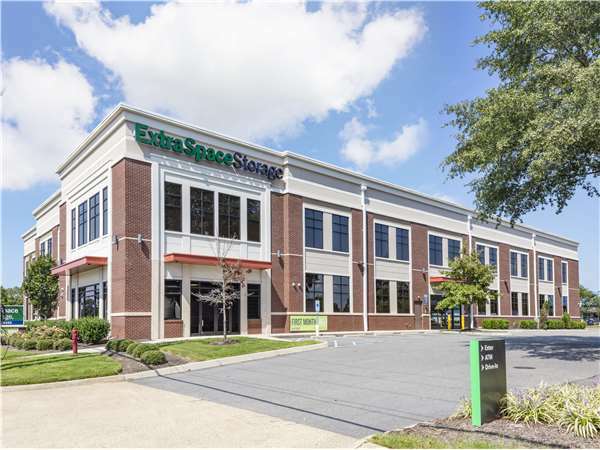 between Centerville Turnpike and Kempsville Rd., Extra Space Storage serves residents of Virginia Beach, Fairfield, Brenneman Farm, Salem, and Alexandria. Locals will recognize our facility north of Lake James next to Kempsville Health & Rehabilitation Center, New Life Church, and Pet Supplies Plus. We're also accessible for residents of nearby apartments, such as Centerville Manor, Indian Lakes Apartments, and Royal Pointe Apartments. Extra Space Storage is about 1.3 miles from Regent University, making us a convenient option for college students who need self storage over the summer or while studying abroad. With a large selection of storage units and amenities like climate-controlled storage and exceptional security, Extra Space Storage on Indian River Rd. 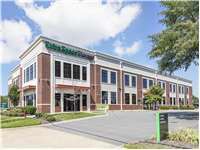 is the self storage solution you need in Virginia Beach! Our Virginia Beach storage facility has storage units in sizes 5x4 to 10x28. Units come with features like first-floor access, elevator access, and climate control to meet a variety of storage needs. Planning to store temperature-sensitive items? We recommend renting a climate-controlled storage unit! These units maintain an environment between 55°F and 85°F year-round, protecting your items from damage caused by extreme heat and cold. Units with climate control come in sizes 5x4 to 10x28. At Extra Space Storage, we're dedicated to providing secure storage for our customers. That's why our Indian River Rd. storage facility utilizes security features like video surveillance and electronic gate access. At Extra Space Storage on Indian River Rd., our facility is always clean, secure, and well-maintained, and our professional staff is dedicated to helping you get the best self storage solution for your needs. Contact us today to reserve a storage unit in Virginia Beach! Very satisfying to know that household belongings are in a climate controlled storage. Outstanding customer service. This is the 2nd tome I have used their space. The price is affordable and a very clean storage area. I recommend with 5 stars. The unit was very clean. Friendly staff. Showed me units until we found the one that was perfect for us. Great promotions. This is the second time we have rented from Extra space and I must say both times have been the same. Love them. I was treated with respect. The building was super clean and smelled good. The staff very nice and patience. Great experience. Customer service is excellent. Facility is always clean. Location is conveniently located by 64 west. Select units are free for one month. I enjoy this storage unit greatly. You can't find a better storage facility in the Virginia Beach area. This facility met all my needs. Love the extra space storage. The security system they have inside the unit and cleanliness as well.. promo also is a big savings.. Excellent experience. I was in and out in less than an hour. On site manager was helpful and friendly. She took the time to show me the different sizes I was interested in. This place is clean. Clean, well lit, air circulating comfortable temperature. Carts and elevators available. Very convenient location next to shopping center. Staff professional and friendly. This is an awesome friendly and clean environment I would recommend this storage facility to anyone who needs the information! The price for the size of the unit is great! Great experience, convenient, safe, easy in and out. Efficient, Clean, Accessible. I love the climate control for storage needs. The move in process was quick and simple. I would recommend Extra Space Storage to anyone looking for storage needs. The staff was very warm and inviting. I was super impressed with how clean the unit was. Everything went so smooth and easy. I am very happy with my decision in choosing Extra Space to store my items. I've utilized Extra Space Storage in both Massachusetts and Virginia. First of all the customer service is exceptional and awesome. Parking is great, hours of operation suit my needs and the premises are always well kept. Very clean, easy access, and the ladies in the office are super helpful and friendly! I highly recommend!! Excellent customer service, very clean facility and the location is convenient. Out of all the storage facilities I have every used, Extra Space is the best ever! Great Customer service. Tiffany was very knowledgeable and a great help. Last minute I had to move went to 3 other storage facility's this one by far is the best deal. 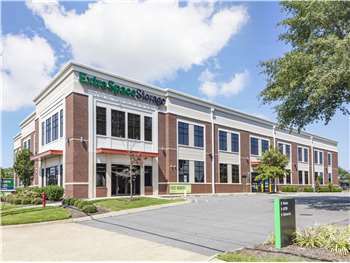 The Extra Space Storage location is very conveniently located on Indian River Road near the 64 Interstate in Virginia Beach, VA. There is state-of the art security provided 24 hours per day. The hours to access my unit is between 6 am to 10 pm, which makes it easy with my busy lifestyle! The Assistant Manager, Tiffany, has been extremely helpful. She always greets me with her wonderful smile and she is always willing to help. I strongly recommend Extra Space Storage and I give them five gold stars!!! we have looked at many other storage facilities and this was the best by far. We will recommend to others. was able to find a space to fit our needs easily, and completely satisfied with visit. Place is nice people are too, Great new facility for storing your items. Both representatives were very customer oriented and took the time to followup and they provided outstanding service. Everthing was great! Great customer service. Tiffany and Maure we very friendly and inviting. We enjoyed our time at the grand opening and the $50 referral program. I wish every space had a light. I feel that is safer and more convienent. If a space doesn't have any lighting at all, it should be offered at a discounted rate even if it was only 10 dollars. I opted out of a space due to lack of light in it. A few spaces had dust which were a deterrant too. Great customer service and the units are so clean and available. Sharie was so helpful and polite. She made my visit very pleasant. I looked at several other places and this was by far the best, and the security cameras all around made me feel very secure. On our move in day to Extra Space Storage, the staff made it extra nice on that extremely hot day by providing complimentary cold water. The Mgr. Maure W. went the extra mile by allowing us to use a truck from one of the other facilities because our facility's truck was in use. She also adjusted the fuel and time allotment for us; for having to pick it up from another location. The locking system on the entrance doors to the facility provide extra security which is great on the one hand; but can be frustrating when moving lots of items in or out; however, the staff will accommodate customers by adjusting the doors to remain open during the time period you need for moving lots of items in or out; as long as it's during business hours, so any concern is resolved. On Indian River Road in between Kemps River Dr. and Thompkins Ln. Located between Union Bank & Trust, Patient First. We are right across from Care.A.Lot Pet Supply. We share the same entrance as Union Bank & Trust. Take I 64 East toward VA Bch Blvd. Take Exit 286B Indian River Rd. Follow Indian River Road and make a left turn at Thompkins Ln (Patient First), then a right in the driveway behind Patient First and we are right in between Union Bank & Trust, and Patient First. Take I 64 West toward Norfolk International Airport. Take Exit 286B Indian River Rd. East. Follow Indian River Road and make a and make a left turn at Thompkins Ln (Patient First), then a right in the driveway behind Patient First and we are right in between Union Bank & Trust, and Patient First. Take I 264 West to Exit 16 and turn Left onto Witchduck Road. Witchduck Road will turn into Kempsville Road. Take Kempsville Road down to Indian River Road. Make a right on Indian River Road. Come down 1 traffic light pass Burger King and ABNB Bank and we are on the right in between Union Bank & Trust, and Patient First. Take I 64 West to Exit 15 B Indian River 286B. Follow Indian River Road and make a and make a left turn at Thompkins Ln (Patient First), then a right in the driveway behind Patient First and we are on the right in between Union Bank & Trust, and Patient First.